Performance. Efficiency. Intelligence. That’s strength evolved. Nowhere is it more evident than with the legendary capability of the 2019 Ram 1500 Classic. No matter whether you’re driving to the jobsite or the lake house, the 2019 Ram 1500 Classic delivers. 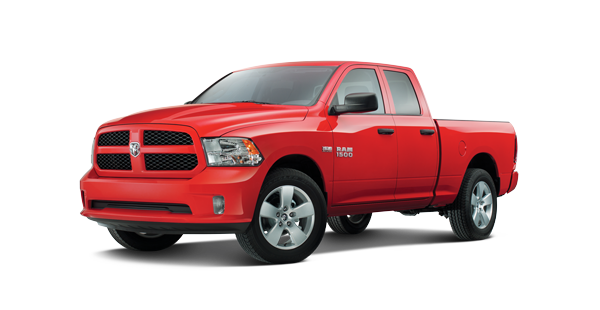 Equipped with the available 5.7L Hemi® V8 engine with TorqueFlite® eight-speed automatic transmission, it’s rated to carry everything you need with plenty of power to spare. Towing with confidence. The 2019 Ram 1500 Classic demonstrates impressive towing capability with a maximum gas towing capacity of 10,710 pounds. And with a Class IV hitch receiver, integrated trailer tow wiring and Trailer Sway Control, you’re always in control. Crafted for comfort: Rugged power, meet premium comfort. The Ram 1500 Classic is designed with the comfort of you and your passengers in mind, giving every surface the utmost attention to quality and detail. Turn your truck into a mobile office or an entertainment center. The available Uconnect® 4C NAV comes with an 8.4-inch touchscreen, 4G LTE Wi-Fi Hotspot, HD Radio™, Android Auto™ integration and more. Apple CarPlay® support allows you to access your iPhone® and its many capabilities through the Uconnect Touchscreen. Register for SiriusXM Guardian™ and get roadside assistance calls, theft alarm alerts, the ability to remotely lock and unlock your doors, and more. Press the ASSIST button in your vehicle to register. The available Driver Information Digital Cluster with 7-inch color display allows you to customize information to match your needs. View your truck’s performance levels in a crisp, colorful and convenient way. Each model comes with its own set of distinctive colors, premium materials and interior details. Marvel at the attention to detail. Customize as you see fit. Discover the right cabin for you. There are plenty of places to keep your tools, gear and anything the job calls for stowed away, from the easy-access glove box to the available in-floor rear cargo compartment (available on Crew Cab models only). The 2019 Ram 1500 Classic is a sculpture in rugged style and chiseled grace. Sleek curves and bold lines convey an air of distinction that defies convention. The available Class-Exclusive RamBox® Cargo Management System is a lit, secure, durable and drainable storage system located on the side rails of your truck bed. Available Remote Keyless Entry with the Class-Exclusive AllSecure® Central Locking System allows you to lock and unlock your cargo box with the push of a button. tubular wheel-to-wheel side steps. Lock and unlock the available power-release tailgate with the push of a button. Choose between the Crew Cab, Quad Cab® or Regular Cab depending on your lifestyle. Pick your wheels to roll out your personal style. 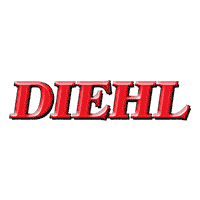 Diehl is your Pittsburgh PA 2019 Ram 1500 Classic Headquarters. Serving Butler, Grove City, Robinson Township, and Pittsburgh.